It is autumn. 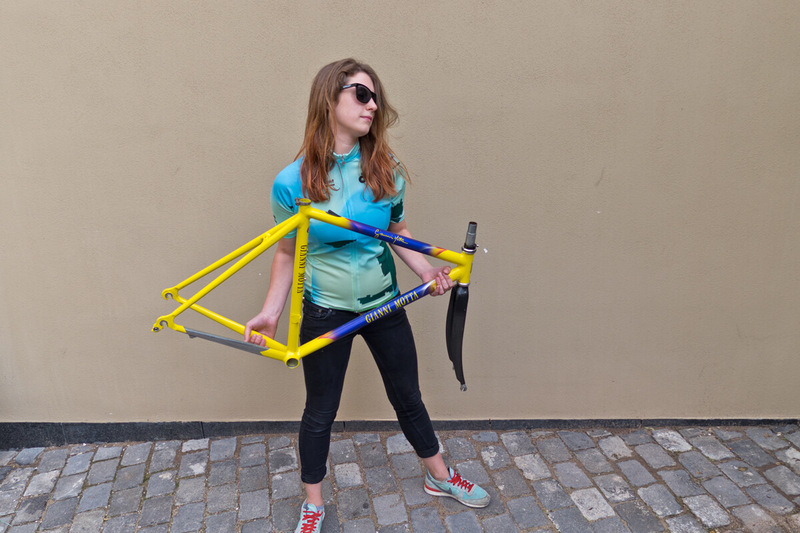 One could think this year’s cycling season is finished. In spite of the weather becoming more and more uncomfortable we have a lot of visitors in the headquarter. Carlotta is one of them. She visits us quite regularly. 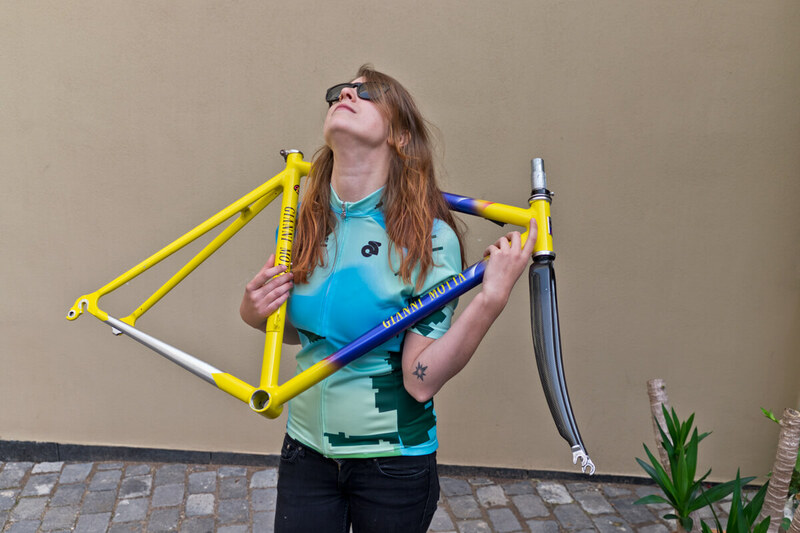 Furthermore she’s completely fallen in love with a beautiful frame. No beauty at first sight but definitely a frame with a history. 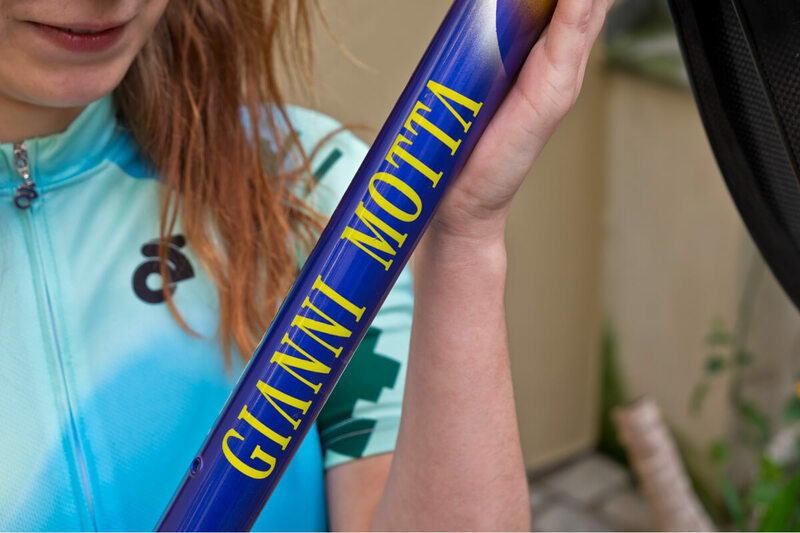 We are talking about a sunburst yellow, ultramarine blue-coloured Gianni Motta with smoothed out aluminum tig welds. 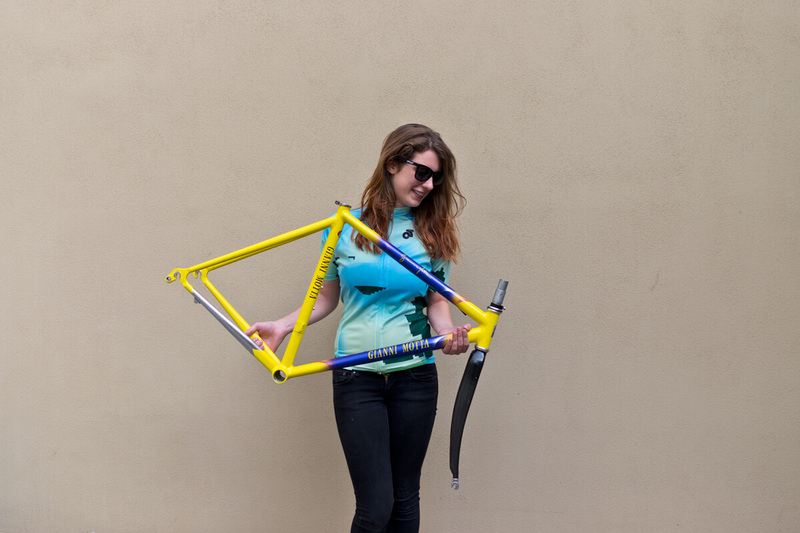 The über-yellow paint job is just amazing and reminds us of nothing else than pure summer bliss. 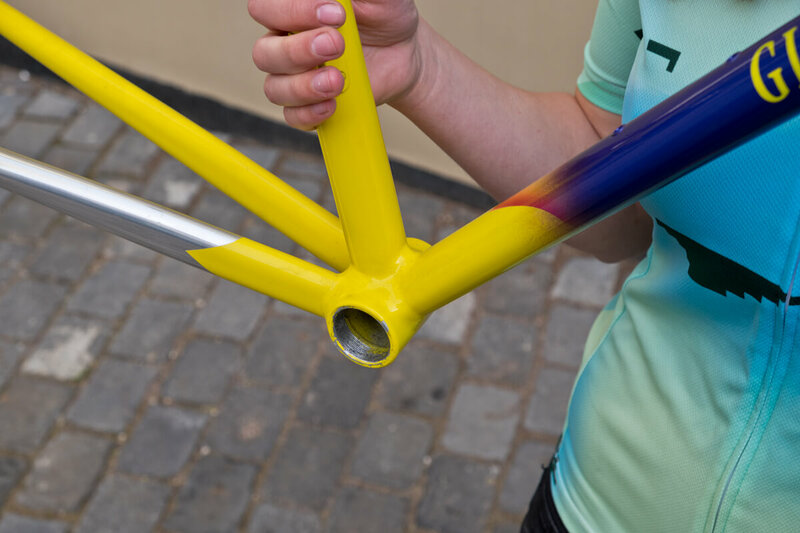 Altough the color transitions are rough, the drop-outs are really massive, the welds are kind of unattractive and the Oria tube-set isn’t something special at all, yet this frame has something beautiful and a lot of potential for again becoming a classic road frame from the mid-nineties. 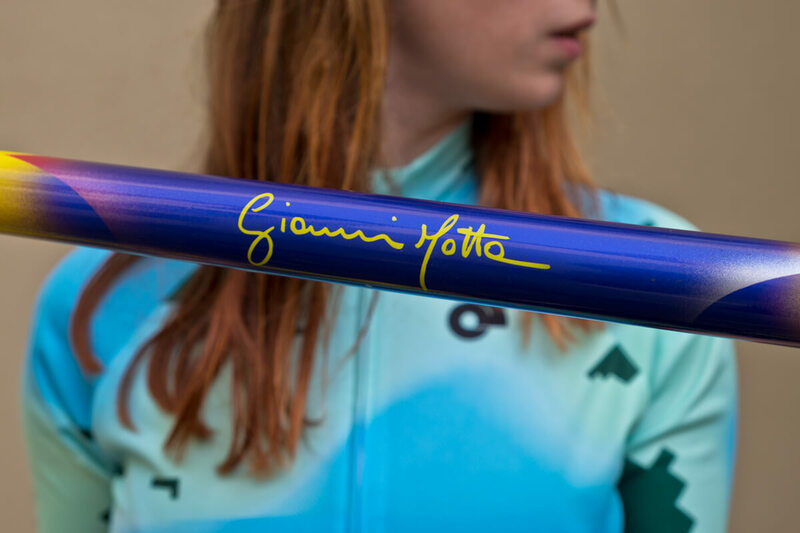 Probably the seventyone-year-old Gianni Motta would love to see how twenty-year-old Gianni Motta frames still can make somebody happy.